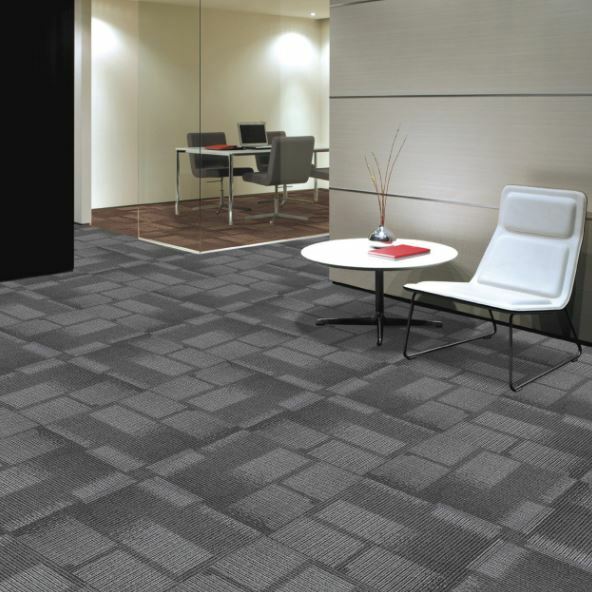 Pentafloor recently launched a new carpet range called African Skies. The carpet tile collection consists of 15 different styles that are all very economically priced between R120m2 – R190m2. The new range was launched to address a specific gap in the market and is manufactured in an ISO 9001 certified facility (currently busy with CRI Green Label Plus certification). • Green Label and Green Label Plus ensure that customers are purchasing the lowest emitting carpet, adhesive and cushion products on the market. • CRI designed the Green Label and Green Label Plus programs for architects, builders, specifiers and facility managers who want assurance that carpet, adhesive and cushion products meet the most stringent criteria for low chemical emissions. “We identified a need for an entry level priced product that is high quality, which is why the African Skies range is a fully backed carpet tile that is made available at a competitive price. We are basically offering an alternative to designers who are working on a tight budget but want more variety to choose from,” says Larry. The 15 different styles are based on different African countries and they are a mixture of organic and inorganic designs with some linear designs in between. “We can also do custom designs if a unique look or feel is needed for a specific project. In this case we will work with the designer to come up with a bespoke solution,” concludes Larry. For more information contact Pentafloor on Tel: +27 (11) 440 6759 or via www.pentafloor.co.za.